So many of us ponder what happens after we part this earthly realm. Philosophers have been thinking on this since the earliest civilizations. I often wonder myself...although I must admit that I have my own tried and true belief system well intact. God and His Universe...the heavens and the earth...The Orisa as well as the Ancestors...all things work in tandem to provide us experiences that reveal the keys to not only ourselves, but to the great mysteries of life. God is perfect, and created us in His perfect image. If these things are true then we must regard the various cultures of the world as a part of such beautiful perfection...handcrafted by God Himself. Therefore, we should not judge or regard another's belief system in a derogatory manner when we do not share the same school of thought. Instead, we should say, "That is where that person's experiences has lead them to." That is not to say that the person doesn't need some assistance or guidance along their path. It is simply important to remember that our thoughts and words carry life and/or death. Our words and thoughts are either life-producing or death-inducing. Choose life. Paradise: The place that Jesus ascended to following his death. A perfect waiting place. Heaven: Your soul immediately returns to God. A timeless state. Transcendence: Your soul is returned to the Great Mind state, rejoining the sea of consciousness from which it came. Awakening: Your soul arrives in pure light. Having shed the physical body, we see truth with acute clarity for the first time. 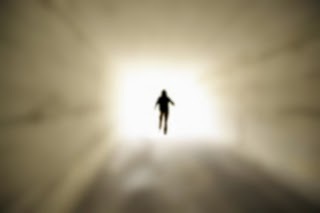 Transmigration (Also referred by some as purgatory): The soul is caught up in the cycles of rebirth. Depending on your Karma, your soul returns to earth in a better or worse. higher or lower form.